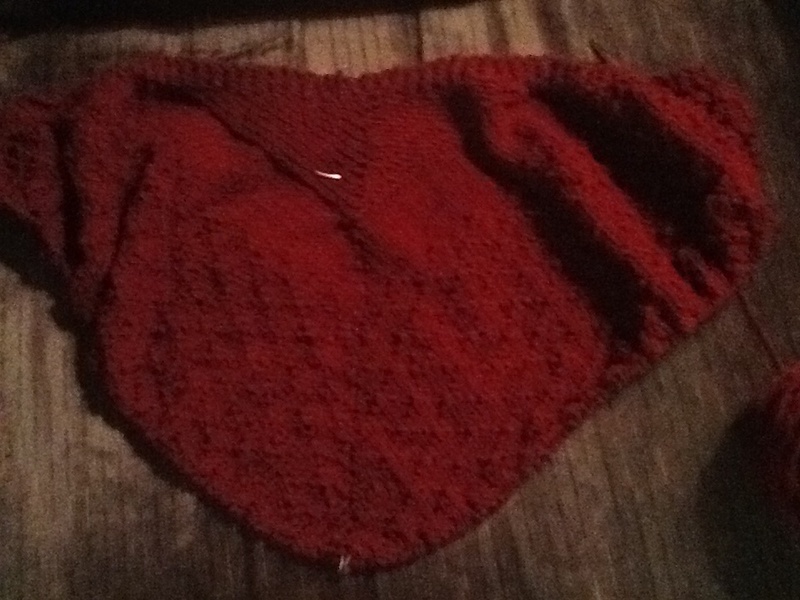 I have many yarn UFOs, but lately I’ve been focused on shawls. It started with Evolution from Remily Knits. This shawl is designed to showcase a variety of techniques, and I messed up in the basic lace section the first time. So, here you see that I am ready to tackle cables, again! I have markers ready when it’s time for lace again. My mom passed along some laceweight grey cashmere. I spent two days poring over the pattern database in Ravelry before deciding on this one. The size and color of the yarn make this a project for bright daylight hours only! 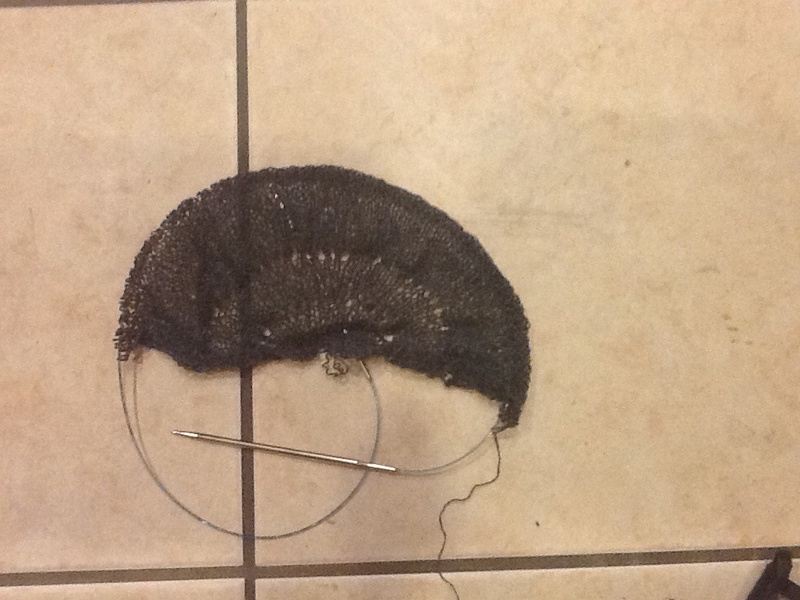 To start the grey lace project, I sacrificed the Stephen West mystery shawl. I had finished the first two clues and it was definitely…. unique. Yes, the holes are a deliberate design element! I peeked ahead, and the finished shawl is a long, narrow triangle with the center stripe section being framed by color swatches built along two sides at a time. 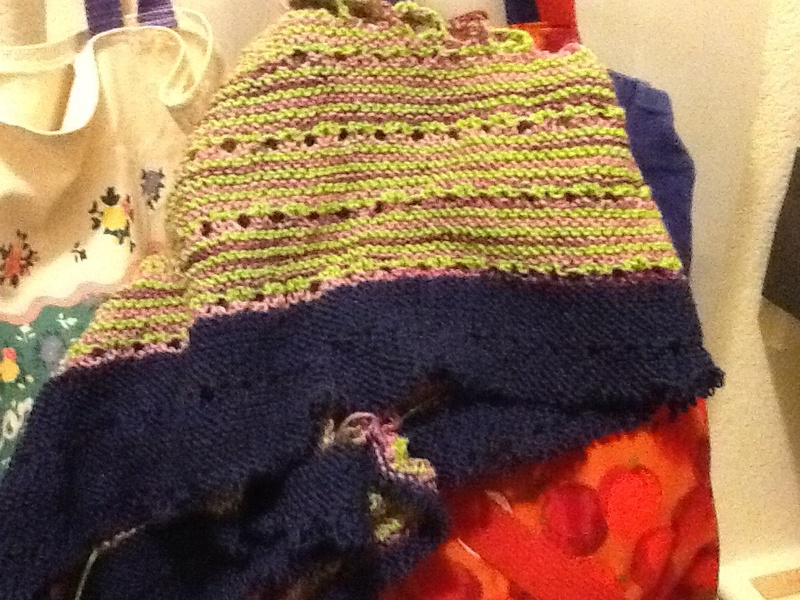 I liked my colors, which you can see better in the second photo, but I prefer a standard shape for my shawls. There are many Westknit patterns in my queue, so I will finish up the two shawls currently on the needles and then go back to one of his ever-popular designs like Spectra or Daybreak.